It’s been a while… but I’m back! Hope everyone is enjoying the sights, sounds, and smells of the holiday season. Down here in North Carolina, it’s been unseasonably warm so far this winter. It’s been absolutely perfect for firing up the grill and the smoker. And when the smoker is fired up, you better believe I’m trying out a new rub or seasoning. So let’s check out Stubb’s Chicken Spice Rub. 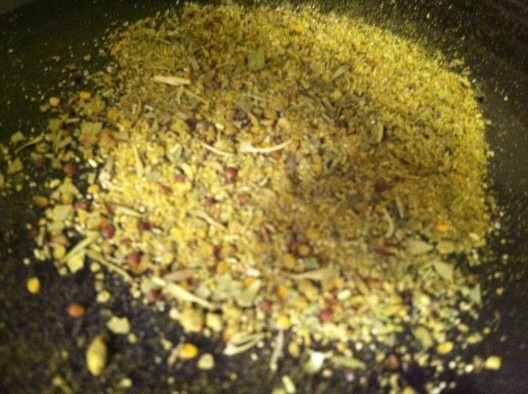 Ingredients in this rub: sea salt, sugar, honey powder, spices, mustard seed, dried onion, dried red bell pepper, ground turmeric, celery powder, garlic, natural smoke flavor. This is no average BBQ rub, as one can attest by the mere look of it. The rub has a refined look to it and is geared specifically towards all things fowl. This rub has an earthy, “herb-y” taste (for lack of a better word). First off, I have to give a huge thank you to Heather at Stubb’s for sending me a holiday care package with this rub as well as two bottles of injectable marinade. Why not put it to good use? This Thanksgiving was a Stubb’s Thanksgiving. After prepping the turkey and injecting, I gave the bird a generous helping of the chicken spice rub both on the skin and just under the skin. I won’t go into a lot of details about this cook. 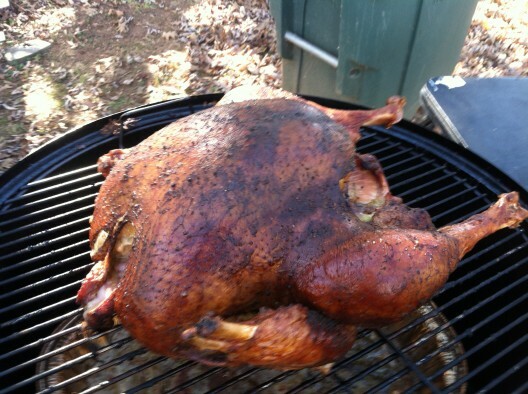 If you’re interested in reading about it, you can do so at Big Wayner’s BBQ Blog (just search for turkey). Needless to say, it was an adventure cooking the turkey. 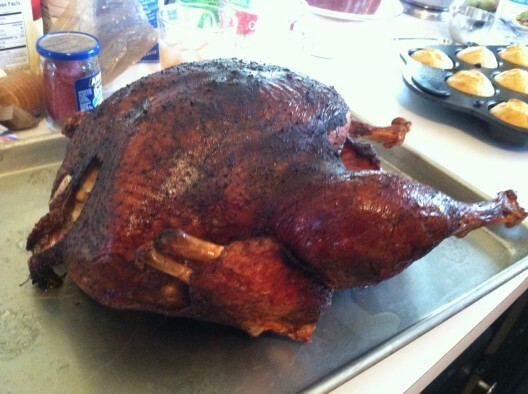 A touch of apple smoke with a hint of pecan in the back makes for a beautiful bird. 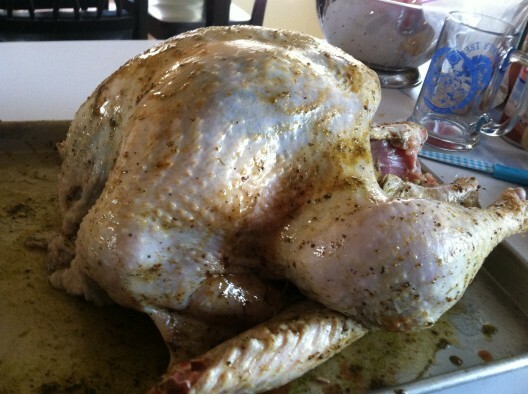 And the rub… it was perfect! It nicely enhanced the flavor both on the skin as well as just underneath the skin. Not too salty, but just right! I also tried this on chicken in a cast-iron skillet, and it worked just as nicely there. The rub caramelized nicely on the meat. This is definitely worth the purchase if you’re looking for something to use on poultry. It’s not geared for BBQ competition circuit flavors, but that’s quite alright for me! You can find Stubb’s online at http://www.stubbsbbq.com. Sounds like something I need to give a try. I’m always looking for something to give chicken a little kick and I already love the other Stubbs products. I’ve seen this at one of our more, let’s say Organic stores here in Tacoma, WA. After reading this I do believe I will pick myself up a jar of this rub. Looks like a tasty bird to me! Why have yall quit selling the chicken rub I can’t find it any where I use to be able to get it a the HEB store? I love this stuff it is awesome.